Even if you're currently renting a home, you don't want that to stop you from making the place feel more like your own. If the walls are plain and lacking any kind of color, decorating is an important step to take to show off your own personality and give your place some style. Your landlord may have strict rules about painting, adding in more permanent fixtures, and even installing screws on the wall to hang certain items. These decorative touches are also often expensive and time consuming, and many military renters simply don’t want to spend too much on a place they don’t own. Fortunately, there are plenty of ways to decorate your rental without spending a lot or causing problems with your landlord. Vinyl wall art is the perfect addition to a rental home, because you can add the art to the walls and then remove it when you need to, without leaving any marks. There are tons of different vinyl art images you can buy, but it is best to think about the theme for each room before you start picking out these wall decals. 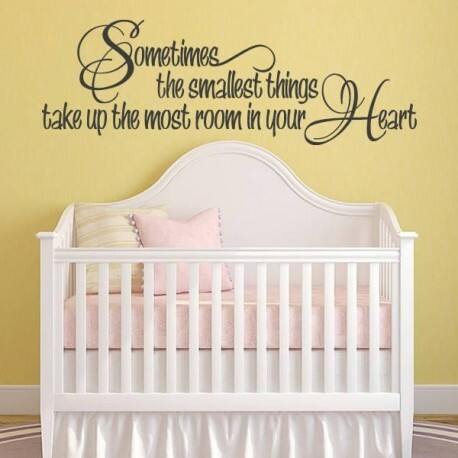 Some of the vinyl wall art options include names of each person living in the home, song lyrics, beautiful quotes, or even butterflies and music notes. Browsing through a catalog, you’ll find famous people, cartoon characters and scenes from nature, too. 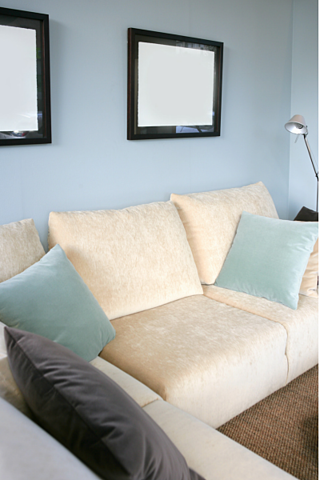 To make your home feel cohesive, stick with a color theme for each room. Brighter colors help the room stand out. More muted blues and greens make a space feel larger. Some of the ways to coordinate the colors include buying hand towels, floor mats, area rugs, magnets, and even vinyl wall art. Purchase items in the same color scheme for cohesion, or add a few contrasting elements to give a bit of life to your space. In some rental properties, tenants are told not to install shelves to reduce the presence of holes in the walls. If this describes you, figuring out what to do with some of your belongings might prove challenging, especially if you lack closets or have a small home or apartment. 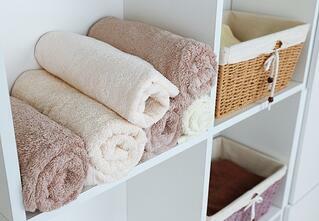 There is an easy way to decorate your bathroom, save space, and find a place to put your belongings. All you have to do is buy a toilet space saver. The toilet space saver is a shelving unit that goes directly over the toilet seat. It is not in the way of the toilet, and it gives you a place to put some of the stuff you want to have in your bathroom, such as air freshener, cotton swabs, extra shower gel, toilet paper, shampoos and even folded towels. You can make the bathroom look more appealing by adding a bright-colored hand towel or glass mason jars filled with cotton balls and makeup brushes to the space saver. 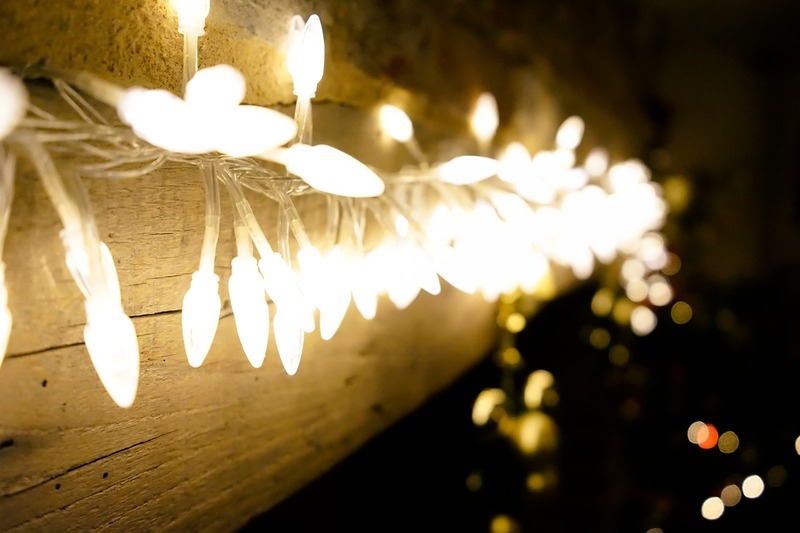 If you would like to add brightness to a room, especially if you don't have a lot of windows, hang string lights around the top perimeter of the space. Simply plug them in as soon as it starts to get dark. You can use any color string lights and even themes like stars, butterflies, or flowers to add a bit of light to the room and make it look more decorative. These are some simple ways to start decorating your apartment. Even if you have a landlord who is a bit strict on the rules, you can still make your rental space feel more like your home and in tune with your personal style. About the Author: Aric Shelby personally designs high-quality vinyl wall art for use in homes and commercial spaces. With a wide selection of designs at a variety of price points, it’s easy for consumers to find exactly the style they need to make their spaces look spectacular when searching Aric’s designs. Browse them all at Vinyl Craze.